A panel of activists and lawyers discussed the realities and repercussions for protesters in light of this weekend’s NATO summit, in an event hosted on Tuesday jointly by SG and the administration. 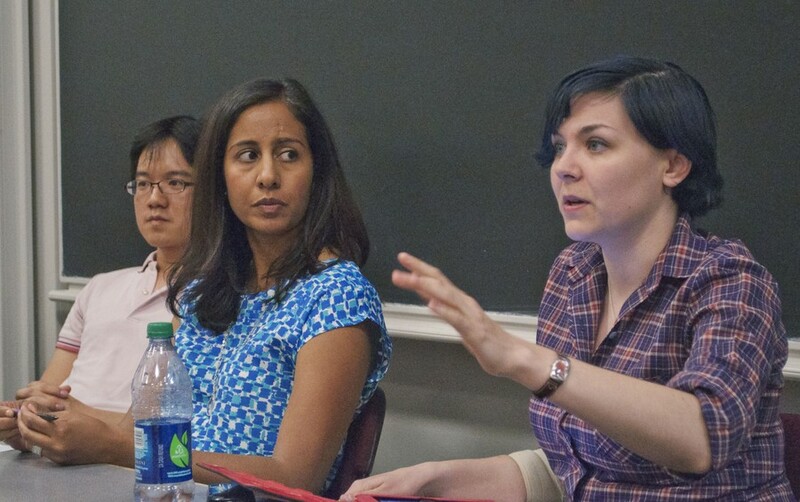 The panel, called “My Voice, Demonstration and Activism in the Time of NATO,” featured practical, as well as more theoretical reflections of attorneys to and members of the Occupy movement. “Coming on the heels of the Occupy movement, I think it’s going to be fascinating what’s going to happen over the next week with NATO,” said panelist Shenaz Mansuri, a former civil rights attorney and current manager of the U of C Public Interest Program. She stressed ways in which protesters could avoid violent confrontations with police that could lead to arrest. “Your goal is to be heard, and you’re not going to be heard if you’re being pepper-sprayed or dragged on the ground,” Mansuri said. Panelists were mixed in their advice to potential protesters about how to avoid injury, some offering safety tips while others emphasized common sense in the face of unfair laws. Occupy press liaison Evelyn Dehais (A.B. ’09) suggested that protesters, in addition to taking practical precautions such as going with a friend, should attempt to understand the mentality of police officers. At the same time, fourth-year Occupy organizer and panelist Kelvin Ho stressed that he could not be too prescriptive in offering advice of how to act at a march. “We try to inform people of the consequences of various actions, not that they are illegal, because the laws are illegitimate,” he said. Class of 2014 Representative Grace Pai, who attended the event, noticed the low student turnout. “I think that it’s unfortunate that more students didn’t care,” she said.